San Diego Comic Con has been filling us with joy and excitement with all manner of reveals over the weekend, but we’ve got to admit that our favourite reveal had to be that of a bare chested Benedict Cumberbatch in the latest trailer for Marvel’s Doctor Strange. 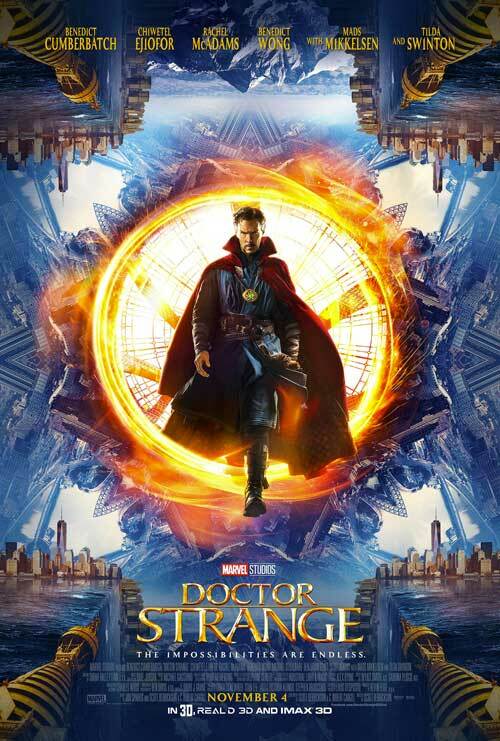 Unveiling new footage from the upcoming film, which stars the Sherlock star as titular hero Dr. Stephen Vincent Strange, plus Rachel McAdams, Tilda Swinton, Chiwetel Ejiofor, Benedict Wong and Mads Mikkelsen in supporting roles, the trailer accompanies the latest Doctor Strange poster, which was revealed last week. Boasting Inception style visual effects and gorgeous settings, this latest instalment of the Marvel Cinematic Universe’s Phase 3 seems to be courting an even wider audience than the existing comics film fanbase. And while we’re still not completely sold on Cumberbatch’s American accent, the more we see of Mikkelsen as the villainous Kaecilius has us hopeful that Marvel might finally be improving upon its tendency toward underdeveloped antagonists. Doctor Strange hits UK cinemas on October 28th 2016, ahead of its American release on November 4th. « Sherlock Comic Con panel reveals three clues for series 4 sleuths, but what do they mean?